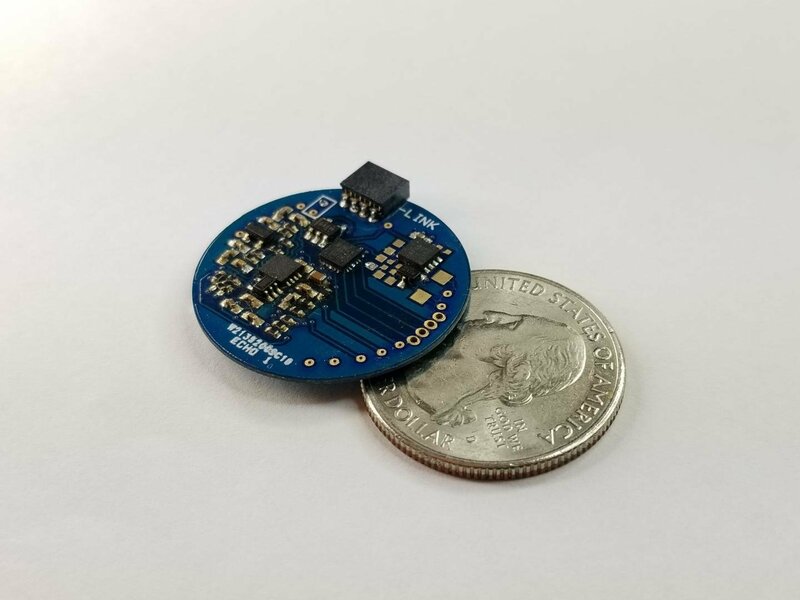 A Purdue-affiliated startup, MR-Link LLC, is developing a coin-sized, affordable device that once inserted into existing MRI machines could allow researchers and medical professionals to perform multiple imaging scans at once and more efficiently and effectively understand a patient’s physiology. Ranajay Mandal, a graduate student in Purdue University’s Weldon School of Biomedical Engineering, Nishant Babaria, graduate student in the School of Electrical and Computer Engineering, and Zhongming Liu, an assistant professor of electrical and computer engineering and of biomedical engineering, co-founded MR-Link to further develop and commercialize the technology. MR-Link’s device would work simultaneously with an MRI system to record electro-physiological signals and perform multiple imaging scans at once. The device is able to learn when to start and stop recording to capture useful signals during MRI operation. The device has great potential to significantly improve the safety, efficacy and precision of medical diagnostics for patients who suffer from epilepsy, Parkinson’s disease, depression, and many more diseases, Mandal added. Babaria said one of the main benefits of the device is its affordability. Liu said the device also could eliminate health risks and provide better imaging. Liu said similar products on the market do not have the same benefits. Technology used by MR-Link has been licensed through the Purdue Research Foundation Office of Technology Commercialization. MR-Link has developed its first working device and is seeking funding and beta testers to move the technology forward. The company aims to target the research market before eventually moving into clinical markets. The company has received assistance from the Purdue Foundry, an entrepreneurship and commercialization accelerator in Discovery Park’s Burton D. Morgan Center for Entrepreneurship.